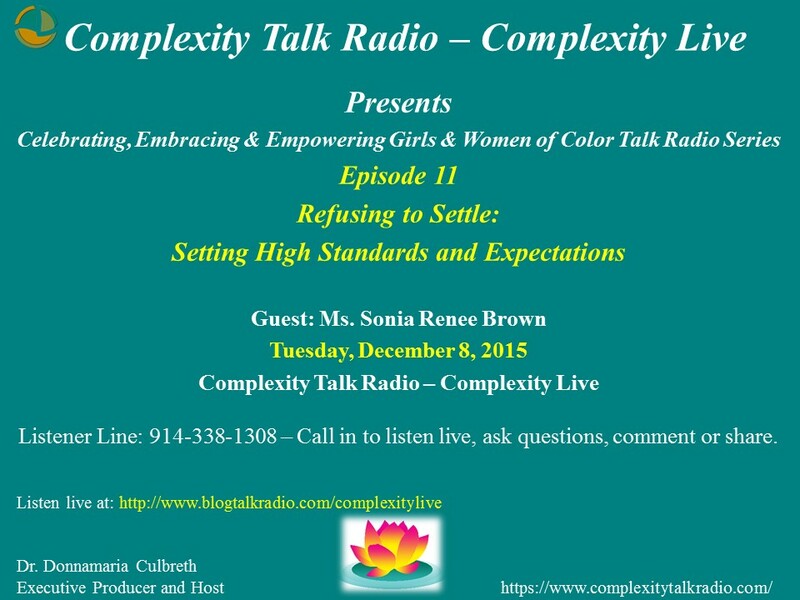 Join Dr. Culbreth and guest, Ms. Sonia Renee Brown for Refusing to Settle: Setting High Standards and Expectations. 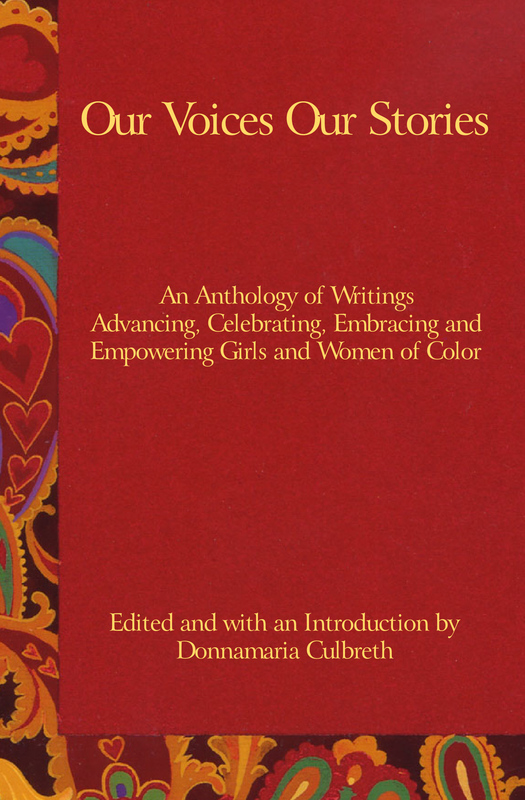 The discussion will focus on refusing to settle, setting high standards and high expectations on three dimensions: Personal, Professional and Social; and how setting high standards and expectations (for self) make a difference in the lives of girls and women of color from the following perspectives: psychological, emotional, physical and social. The discussion will be thought-provoking with final thoughts on setting high standards and expectations for yourself in 2016! Listener Line: 914-338-1308 Call in to listen live, comment, share or ask questions!